Complex Says: The Air Jordan Force 4 possibly stays truest to the original form with the upper maintaining most traits from the original IV. 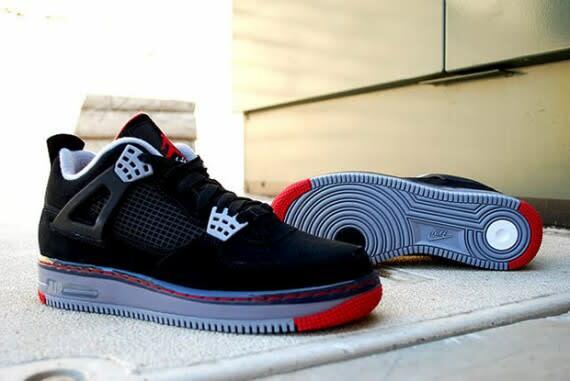 The shoe sits on an Air Force 1 midsole, adding an Visible Air unit to the heel. This model was received with some resistance at first but somehow it just looks right.